Welcome Back. The crowning achievement of my time working toward a Master of Science at the Arecibo Observatory in Puerto Rico was not killing myself when introduced to riding a motorcycle. That episode from the 1960s could also be referred to as “Why I bought a car” (see Car-Buying Time). Its memory was triggered by a study that compared health care costs following motorcycle versus automobile accidents in Ontario, Canada, a province with a population over 13.6 million. The study was conducted by a team of medical researchers affiliated with the University of Toronto’s Institute for Clinical Evaluation Studies. The researchers examined data on adult Ontario residents who made it to the emergency department or were admitted to the hospital after a motorcycle or car crash between 2007 and 2013. They estimated direct costs for each case in 2013 Canadian dollars for up to two years after the crash. One would give up trying to collect those data in the U.S.; however, Canadian healthcare is under a publicly funded system paid mostly through taxes and provided mostly by private entities. 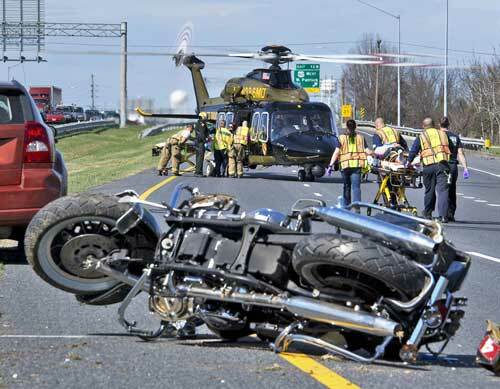 The researchers identified 26,831 patients injured in motorcycle crashes and 281,826 patients injured in car crashes. The annual incidence of motorcycle crash injuries was triple that of car crash injuries (2194 injured annually/100,000 registered motorcycles vs. 718 injured annually/100,000 registered automobiles). Motorcycle crash patients had 10 times the number of severe injuries (125 severe injuries annually/100,000 registered motorcycles vs. 12 severe injuries annually/100,000 registered automobiles) and were nearly 3 times more likely to require hospital and ICU admission than car crash patients (11.9% vs. 4.2%). “Severe” injuries were defined as those with an Abbreviated Injury Scale of at least 3 (see P.S.). The study found the average medical cost for motorcycle crash victims up to 2 years after a crash was double the cost for car crash victims. Given that the annual number of motorcycle crash victims per registered vehicle was triple--and costs per victim double--that of car crash victims, each registered motorcycle costs Canada’s health care system six times the amount of each registered automobile. Extrapolating further, the researchers offered a comparison based on distance traveled. Because the average automobile travels 5 times the distance of the average motorcycle, all rates could be multiplied by 5. Motorcycles would then have 15 times the injuries, 50 times the severe injuries, 25 times the deaths and 30 times the costs per unit distance traveled. Among the study’s limitations was the inability to capture rehabilitation costs for longer term health care needs, such as brain injury--an injury that got me wondering about helmets. Although the use of helmets would not affect the study results, since Canada requires all motorcycle passengers to wear helmets that meet specified standards, how would the results transfer to the U.S.? Motorcycle Helmet Laws in the U.S. The U.S. tried twice to get states to enact helmet use laws through federal incentive programs, but states lobbied Congress to end the penalties, leaving them to go their own way. The primary argument against a federal mandatory helmet law is that it would encroach on states’ rights. Among other arguments are that education, not legislation, is key to safety and that helmet use is a personal decision. Today, 19 states and D.C. require all motorcyclists to wear a helmet, 28 states require helmets for only some motorcyclists, such as those age 17 and younger, and 3 states have no helmet requirement. Motorcycle insurance is required in 47 states and D.C., yet each state sets the amount a policyholder's motorcycle insurance company will cover. And as for health care insurance, don’t ask. As much as I’ve enjoyed riding on the back of motorcycles, the increased risk over automobiles is clear. In the years covered by the Canadian study, for example, the annual incidence of motorcycle crash fatalities in Ontario was about five times higher. 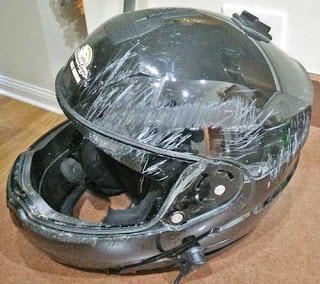 Regarding helmets, the U.S. National Highway Traffic Safety Administration estimates helmets are about 67% effective in preventing brain injuries and about 37% effective in preventing motorcycle deaths.